“Completed and announced deals by established oil and gas companies in the North and Norwegian Seas signifies the change that the region is currently experiencing. 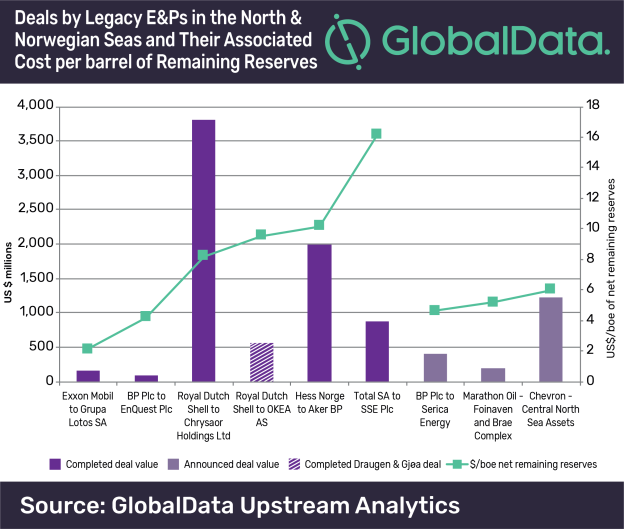 Recent trends show European legacy exploration and production companies (E&Ps) are rebalancing portfolios in the North and Norwegian Seas, with asset sales of more mature fields but also asset acquisitions and investment in upcoming projects. On the other hand, we see that legacy North American E&Ps are indicating a clearer divestment strategy away from the region. “As the more established North and Norwegian Sea players rebalance and optimise portfolios, opportunities are presented for developing E&Ps looking to invest in sustaining field production and maximising economic recovery to generate cash flow. These often smaller, developing companies are nimble enough to allocate the right experience and resources to prolong field life and maximize asset value.